Recovery and Availability of business data are the most important parts to any data protection solution. 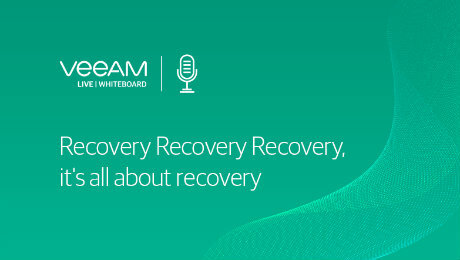 Watch this recorded whiteboard session and learn how Veeam® Availability Platform will help you reduce recovery time objectives and provide Availability for any kind of workload: physical or virtual, on premises or across any cloud. After all, if you cannot guarantee a successful recovery, what is the point of a backup?